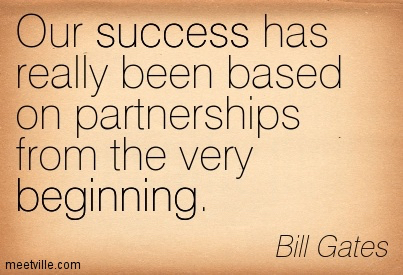 Unearth the World is all about partnerships and mutually beneficial collaborations. We revel in co-creating programs with our international partners and find it incredibly valuable to work with our corporate and university partners. In fact, one of our six guiding principles is “Reciprocity in community driven partnerships.” We have written blogs about responsible partnership as well as academic papers on this subject. And this weekend, we are honored to present a session at the Global Service Learning Summit that focuses on how-to navigate cross-cultural values when building effective partnerships. With the value of successful partnerships on the mind, we were thrilled to attend a Corporate Responsibility Group of Greater Chicago event earlier this week focused on how to create mutually beneficial volunteer partnerships. It was energizing to be with dozens of other nonprofit and business professionals to discuss the very thing that makes Unearth the World tick. 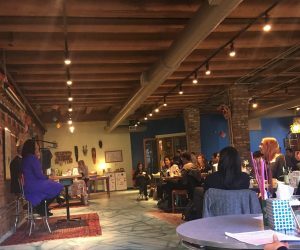 The breakfast meeting gathered leaders in the field of corporate responsibility to discuss what makes effective partnerships between corporations and nonprofits to ultimately further both business and social impact agendas. Dorri McWhorter, Chief Executive Officer of YWCA Metropolitan Chicago, lead the discussion about the power of volunteering with Molly Cook, Central Region Community Engagement Leader at Ernst & Young LLP, and Brian Starr, Director of Inspired Giving at YWCA Metropolitan Chicago. They provided important context and experience from the successful collaboration between their organizations. I have listed a few key takeaways from the discussion below. Unearth the World looks forward to using this expert advice as a guide as we continue to roll out our local programming and grow our international opportunities! Empower your employees to give back by leveraging their unique skills. To do this, it is important to have a clear understanding of what your volunteer base looks like. Create a clear vision and goal of what you want to accomplish through your volunteer programs. Identify a champion on the leadership team to provide financial support and get volunteers. Align your volunteer projects and program with your overall business strategy. Offer a wide range of volunteer options for your employees in order to meet people where they are. A “one size fits all” approach is less effective. Want to partner? Reach out!